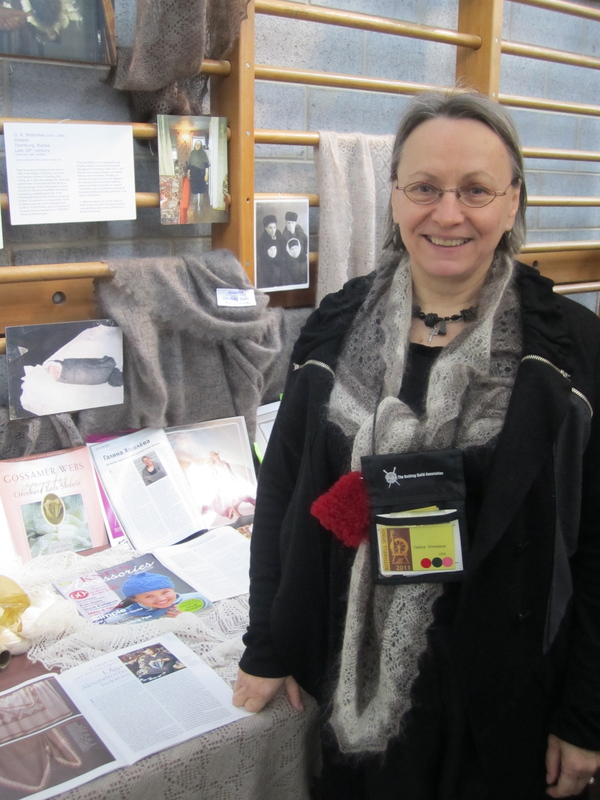 While in Bothwell, I was super-excited to meet Galina Khmeleva, a Russian knitter and spinner now based in America, who is doing an incredible job of spreading the word about the knitting traditions of Orenburg, Russia. 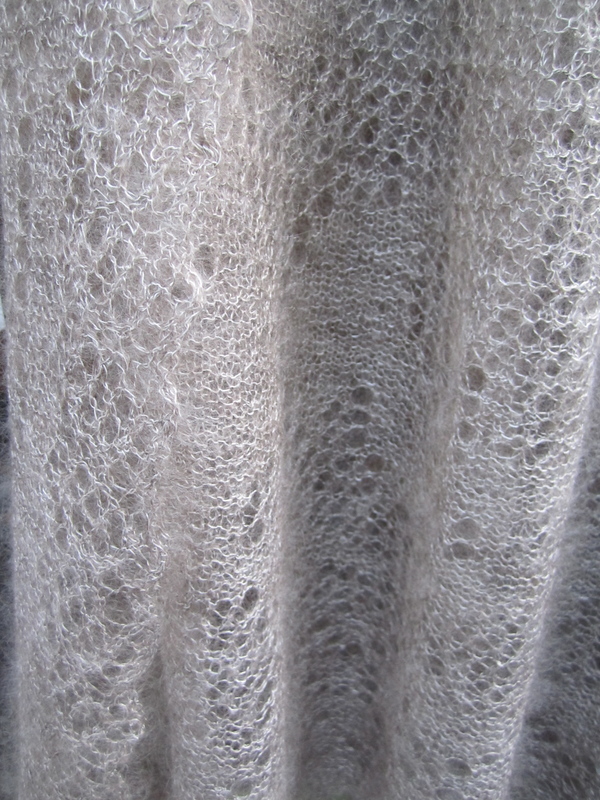 In a region characterized by long, bitter winters, hot, dry summers and poor soil fertility, the people of Orenburg have been known for their knitted shawls (both gossamer and heavier-weight) for over three hundred years. The Orenburg goat adapted to the severe winters of the Ural mountain steppes by producing a very fine, downy undercoat similar to cashmere and mohair and this was recognized as a resource that could be used to keep warm and bring in much-needed income. Each goat yields only 100-150gm of fibre each year, so it is necessary for a family to keep at least a few animals in order to produce enough fibre for shawl-making. 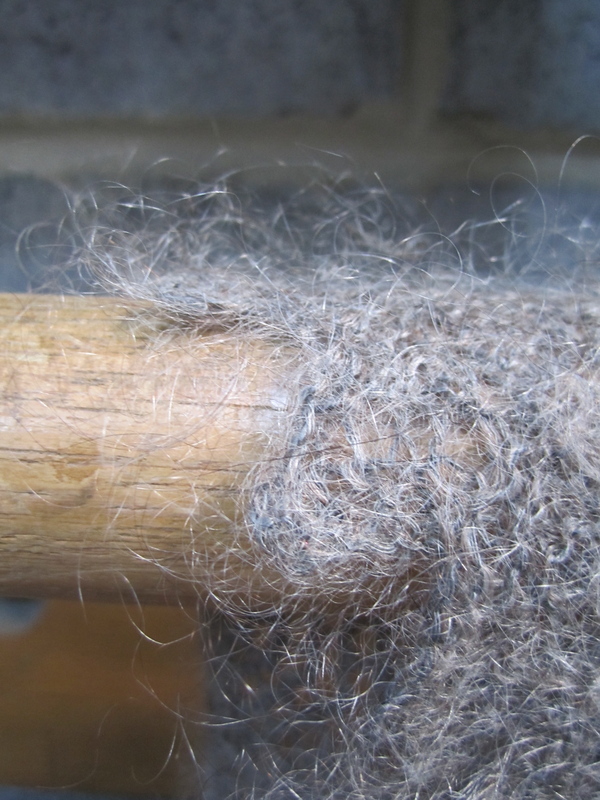 The goats are kept outside throughout the year and are combed during molting in spring; the fibre is then thoroughly cleaned and spun into a very fine but durable thread which is then plied, usually with commercially spun silk to add strength and stability and to speed up the process. Each gossamer shawl (pautinka) then takes one to two months to knit; it may be triangular, square or rectangular and is characterized by geometric lace motifs, intricate edging and a fabric that is as durable as wool but far warmer, lighter and loftier. Like the Shetland ring shawls of Scotland, a true gossamer Orenburg shawl should be able to be passed through a ring and will weigh 100 grams or less. Traditionally, the techniques used to create the Orenburg shawl were passed from generation to generation within a family and no written instructions or patterns existed. 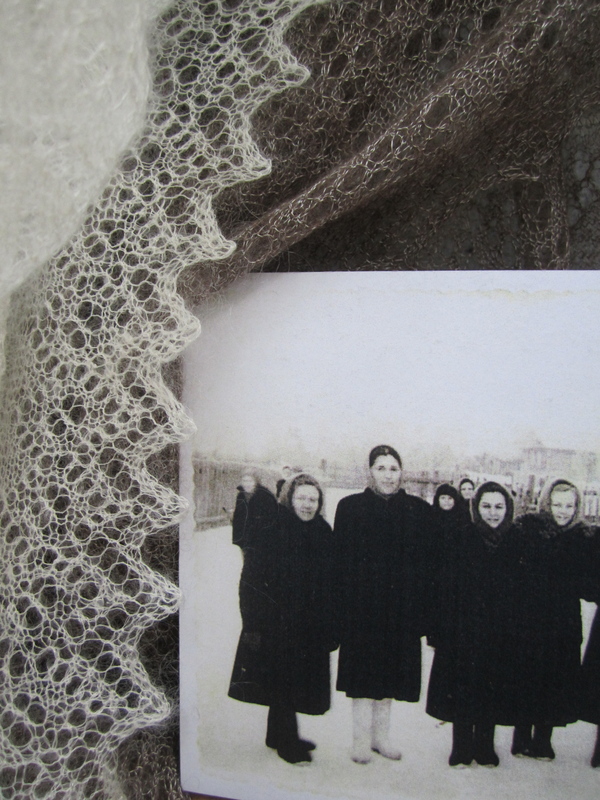 During the Soviet period, shawlmaking became a state-controlled industry, so much so that many laceknitters struggled to survive without government support when communism fell. Luckily, several master laceknitters of Orenburg agreed to share their wealth of knowledge and skills with Galina, who spent a huge amount of time translating and transcribing what she learned from them and who now travels extensively to share the beauty of the tradition and to pass on the skills used in creating an Orenburg shawl. She is currently holding a series of classes across Australia, including several with the NSW Handknitters Guild and a two-day workshop at Morris and Sons in Melbourne… and I think there are places left in that one! My finances are super-tight at the moment but I am hoping for a miracle so that I can attend! My impression from hearing her speak at Bothwell was that she would be a wonderful teacher, both funny and a bit bossy so able to get the best out of students. This entry was posted in knitting and yarn on March 9, 2011 by admin. Thanks for the review Jules, I’m definitely going to do that class. How fascinating. Thank you for sharing.